Though he was born in Miami, FL, Yani Gellman‘s family moved around to Australia, Spain and Texas before settling in Toronto, CA. Gellman began acting when he was just 13 years old. In 1998, he landed roles on the popular children’s programs ANIMORPHS and GOOSEBUMPS. From there he went on to guest star on the teen series THE FAMOUS JETT JACKSON, had roles in the horror films Urban Legends: Final Cut and Jason X (which was part of the Friday The 13th series), and appeared in several TV movies, including THE ROYAL DIARIES: CLEOPATRA — DAUGHTER OF THE NILE. 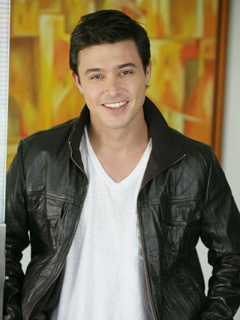 His star rose in 2003 when he was cast as Hilary Duff‘s love interest, Paolo, in Disney’s The Lizzie McGuire Movie. After that, he went on to star in several other teen-oriented series, including WILD CARD, MONSTER WARRIORS and LINCOLN HEIGHTS. He also attended the University of Toronto and got a degree in political science during this time. In November, 2008, Y&R cast Gellman as no-nonsense attorney Rafe, who was also the nephew of Victor’s housekeeper Estella. In early 2009, Rafe revealed to his friend Colleen that he’s gay, making him Y&R’s first homosexual character (a back-from-the-dead Phillip III would soon follow). Gellman’s story then took an exciting, albeit controversial, turn when the evil Adam duped Rafe by pretending to be in love with him in order to keep Rafe from finding out that he was the one who was gaslighting Ashley and had set up Estella for the crime. Though there was an abrupt cast change when Chris Engen quit as Adam and Michael Muhney took over the part, Gellman held his own and has proven that he has what it takes to handle an adult role. Was named after family friend, writer Jan Joors. His father is Canadian and mother is Australian. Appeared as a model in ads for Omega watches. Played the love interest of Matthew Shepard in THE MATTHEW SHEPARD STORY.